A grove of Yellow Box (Eucalyptus melliodora) saplings that germinated after the ’09 fires has been a continual source of interest, mainly because of the invertebrates that live on it. 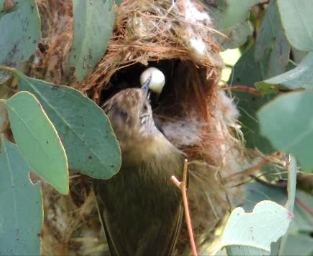 This year one of the saplings has been strong (and bushy) enough to support a Striated Thornbill nest, pictured left. 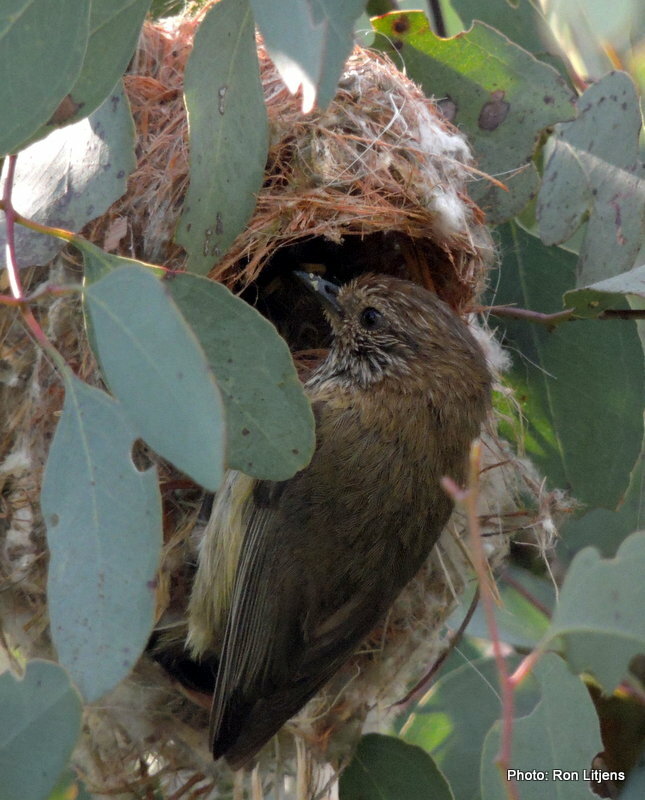 The Striated Thornbill (Acanthiza lineata), pictured right, is a member of the Acanthizidae family, which contains other birds such as Weebills, Gerygones and Scrubwrens. It is only found in mainland south-eastern Australia. The scientific name is derived from the Greek words acantheon meaning a thorn-bush and zao meaning to live in, and the Latin word lineatus meaning lined, referring to the markings on the head – literally a ‘lined thorn-bush dweller’. 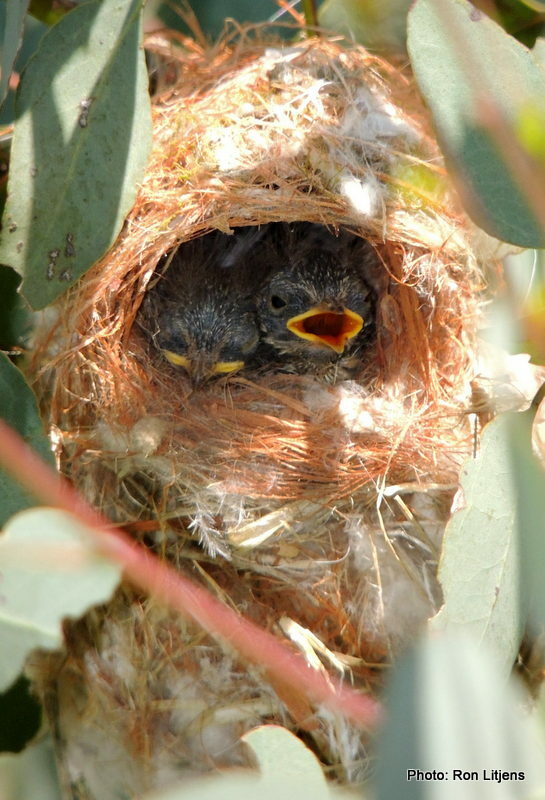 The nest is an oval domed construction with a hooded opening near the top. It is made out of bark, spider webs and moss and is lined with fur and feathers. The female incubates the eggs. Both parents feed the young. Immediately after feeding, the chicks defecate a faecal sac – a translucent gelatinous membrane containing all the excrement. In practice one parent flies in and feeds the chicks followed by the second parent which removes the faecal sac (pictured left).